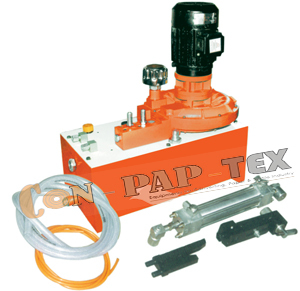 ConPaptex manufacturer of Web Guiding System uses one of a series of Web guide pneumatic hydraulic units in most of its systems. These Web Aligner units come in several sizes and a suitable one can be found for any application. Also Web Guiding System manufacturer for machines of Slitter Rewinder Machine, Winding Rewinding, Inspection Rewinding or more with international standard quality. Wide range of coating with hardness depending on the type of printing and with a thickness of M. S. Shell. Featuring with Long Life and excellent bonding on face length & side coating also specialized cambering on a high-tech automated CNC machine. Web Guiding Equipment, application of the Roll like Guide Rolls, Nip Rolls, Pressure Rolls, and Squeeze Roll Etc.